... Philip Oltermann of The Guardian. (It is actually a report dated 31 July, but since we are dealing with journalism, what's a fact or two between friends?) A Twitter friend brought this to my attention, and it is quite staggering, even by the normal standards, clearly written by someone who knows nothing about Wagner, Bayreuth, music, nor indeed, it would seem, anything about anything else. By whom, and in what sense? I cannot recall having heard anyone speak of it in such terms, insofar as those terms might be considered meaningful. 'Becoming'? Do you know anything about the history of the Festival? Have you perhaps heard of the Third Reich, of Winifred Wagner, or indeed of a host of controversial stagings, at the very least from Wieland Wagner onwards? Six-hour production?! As another Twitter friend commented, that is 'radically deconstructed' indeed. It certainly took longer when I was there last week. So now you are talking about something that happened last year? In what sense is this conceivably a news item? Well, only in the sense that he was 'drafted in' after the death of Winifred Wagner or indeed after the death of Richard Wagner. 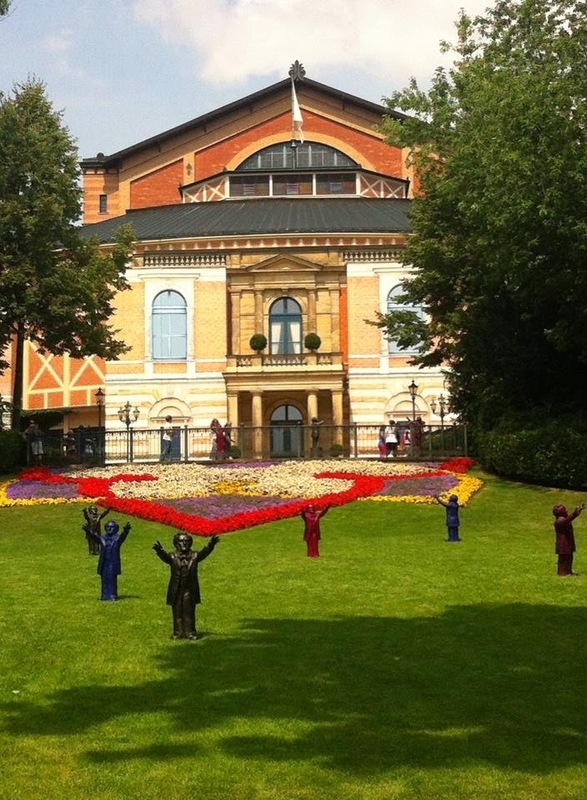 Lars von Trier was due to direct the previous 'Ring' at Bayreuth. 'Horrible modern-dress concepts' is a great letdown; Rupert should have dropped it after the reassuring undertone of his 'don't worry, this resort does do English food' aside about the Brits in Munich, and then it would have been an object lesson in appearing to say something nice about the Germans while dog-whistling to your readership that, no, you haven't stopped being an obnoxious tool.